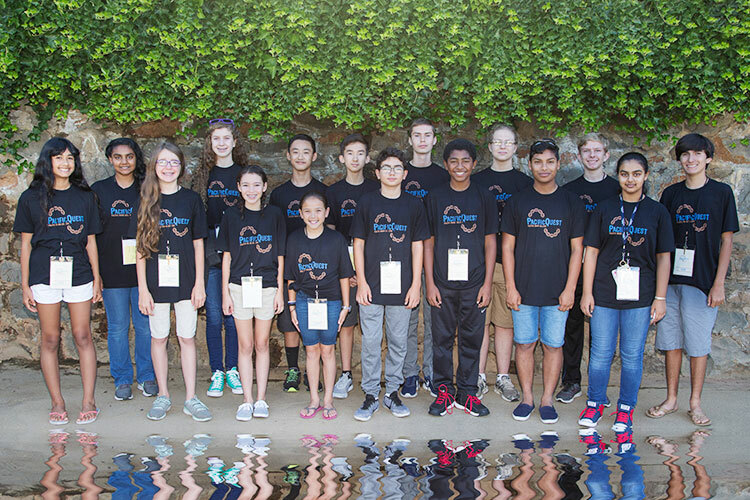 Pacific Union College held its annual PacificQuest program July 9-14, welcoming 16 high-achieving middle school students to campus. The program is designed to provide gifted students with the opportunity to explore college-level courses and encourage them to pursue a college education. This summer, PacificQuest students discovered the marvels of the awe-inspiring human body through three hands-on classes: Anatomy, taught by Dr. Scott Herbert, and Microbiology, taught by Dr. Aimee Wyrick and Dr. Backil Sung. These classes explored the different parts of the body, what they do, and how they work, along with different body systems, with a strong focus on the immune system. Students also learned about microbes, and how to classify them based on their various characteristics, and practiced using a compound light microscope to describe and identify bacteria. Students received one college credit for completing these classes. Camp director Sydney Johnson, who also serves as the college’s career counselor, planned an exciting schedule of activities after classes, as a PUC college experience wouldn’t be complete without a full spiritual and social calendar. PacificQuest students enjoyed a variety of events, including stargazing trips to the Young Observatory; a special talent show where students showcased their skills in improv, poetry, comedy, and music talent with instruments like the piano and ukelele; several competitive quiz bowls; and a beach-themed pool party, complete with inflatable sea creatures and beach balls. One evening students learned about service-learning, making rice crispy bars with s’mores to distribute to people across campus. At a special awards presentation, PacificQuest participants received a $500 scholarship to PUC, which they can put towards their first quarter of their freshman year. Several students received the scholarship for the third time, after attending PacificQuest for three straight summers, bringing their total scholarship to PUC to $1,500, which they can use when they enroll in four years. The college is already looking forward to hosting PacificQuest again next year; dates to be forthcoming. For more information, including program requirements, visit puc.edu/pacificquest or email pacificquest@puc.edu. Classes will be announced later this fall, with program applications available in December. Enrollment is limited to the 24 highest qualifying students.